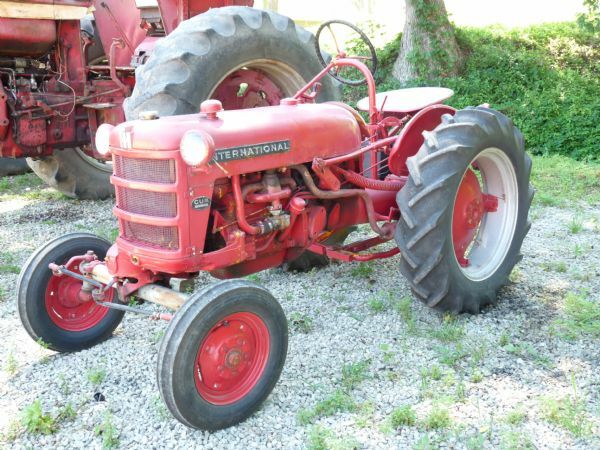 We are fortunate enough to run across quite a few older and sometimes rare tractors in our many excursions up and down the highway. 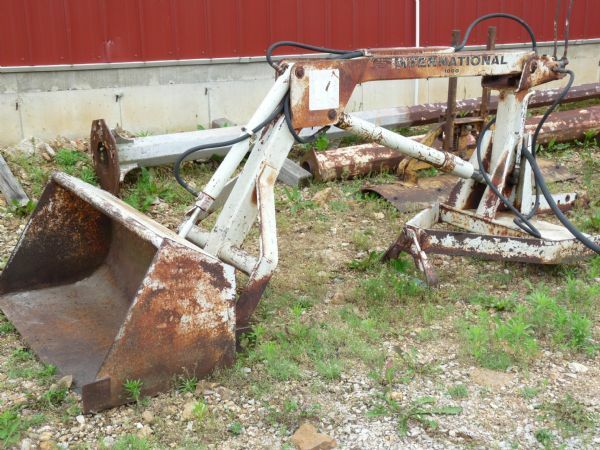 On this page we want to show off some of our "special" finds that ARE FOR SALE. 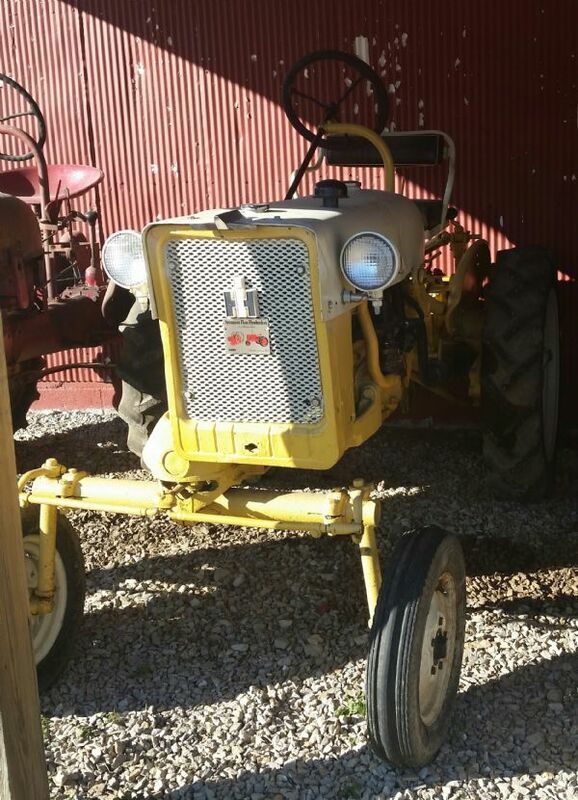 Also feel free to contact us on any other special tractors or parts you may be looking for. Take a look at these great pictures! Just give us an email or a call for specifics and prices on these. 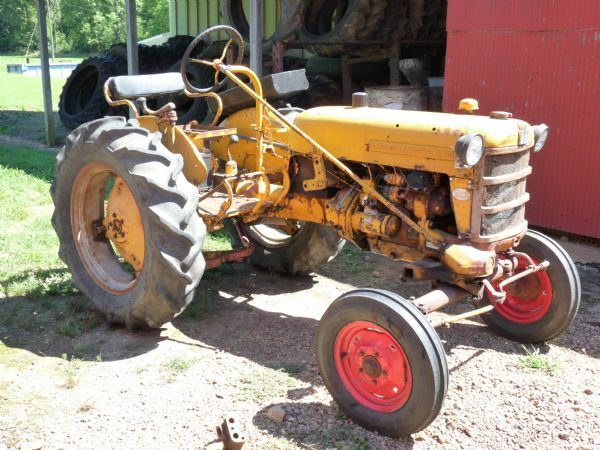 Most of these rare or collector tractors, John seems to sell before I have time to get pictures and descriptions. I try to update this page, but sometimes just not quick enough. If you have something special you are looking for, give us a call and we can try to give you let you know when we run across it - before we list online. Serial # 13025. This tractor runs and drives good. Has good tires on rear and like new tires on front. It runs on 6 volt system and has deluxe seat assembly. This just came in! It is a nice loader! 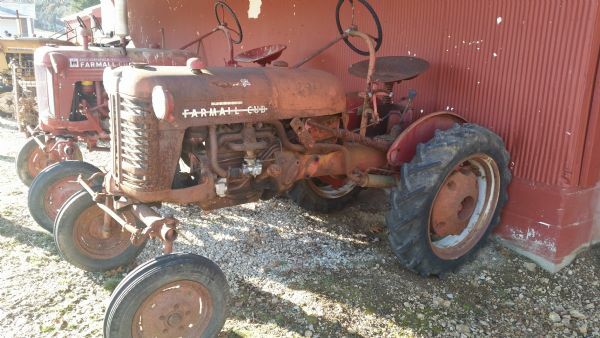 Will fit Farmall Cub, International Cub Loboy, and Farmall Super A-140. Give us a call for pricing. This little tractor is ready to go! Starts right up and goes! Includes belly mower. $1925. Call John for more information. 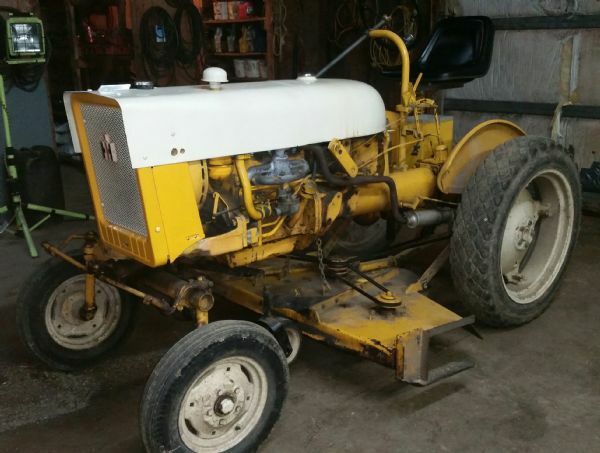 This is a good running Cub and would be great for restoration. It has serial number 187194 and has nice sheet metal too. Call for pricing and information. 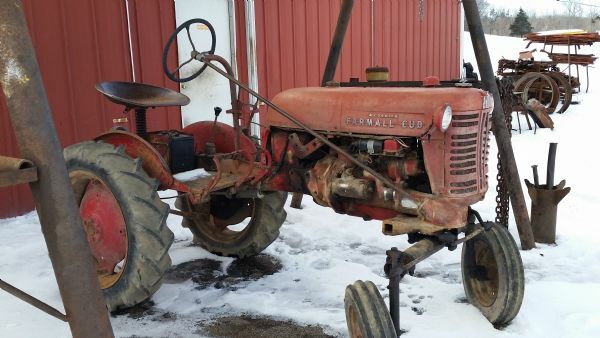 Farmall Cub comes with Plow and Handle. 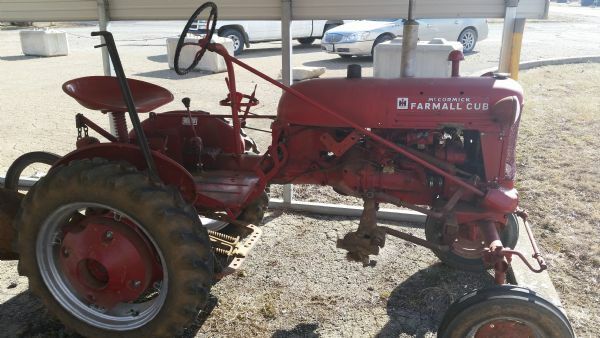 This Farmall Cub is very nice. It runs and drives good and has an included Fast Hitch as well as a Deluxe Seat Assembly. 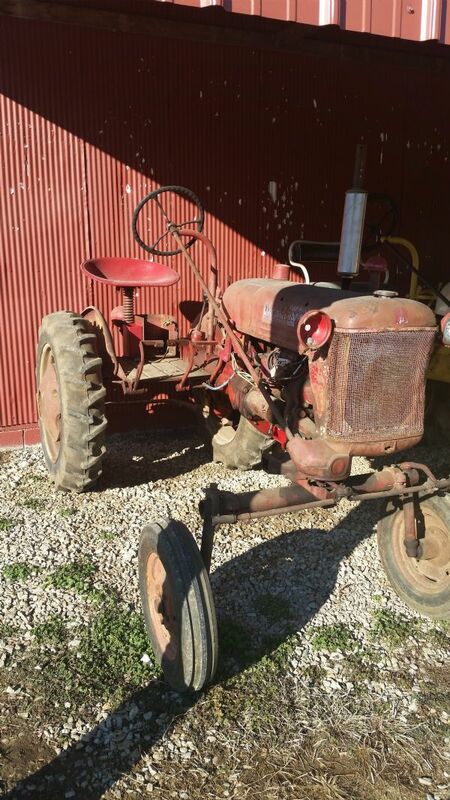 This is a running and driveable Farmall Cub with good brakes. This Cub runs but does smoke. The fuel tank needs cleaned and the transmission has a whine to it.